Here are 20 Free Valentine’s Day Printables are perfect for anyone on your kids (or your) Valentine’s Day list. Valentine’s day is almost here, which means it’s time to break out all things red,pink and love. 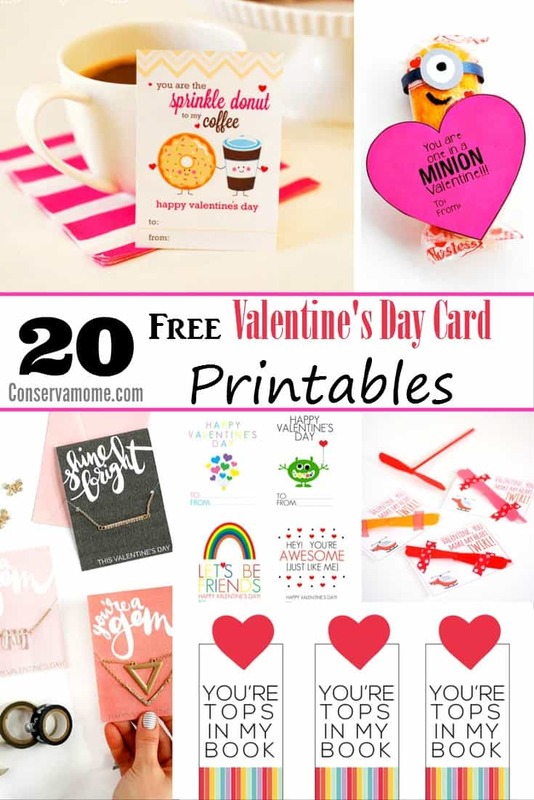 Sure you can go the traditional route and head to the store to purchase some simple Valentine’s Day Cards or you can get creative and print out one of these 20 Free Valentine’s Day Card Printables that are adorable and perfect for your little one to express their friendship to others. Still looking for some more fun Valentine’s Day Activities? Head over here and check some fun Valentine’s Day Crafts and ideas out that your little ones or you can create.